We are halfway through the challenge, so time is flying! So I'm prolly going to have to give up on making Christmas cards for everyone this year. Life has just loomed large and interwrecked my plans for that. But I can't not make any, so I took aim today with the help of a few challenges. The featured NBUS product on today's cards is stickers. It's a produ ~ wait. What? Did you say "stickers?" That's right. The gals at Less Is More are shaking up Blogland with their recipe for stickers, sticky labels, or peel-offs this week! Most of us started out making cards with stickers, but as we became more experienced, we sort of looked down our honkers at stickers as being too pedestrian, elementary even. Something for the children. Well, good for LIM for shaking things up! I think we all still have some stickers languishing in our Goody Boxes for this very day! The e/f is from Tim and I just love him. The snowman I mean, although Tim is equally lovable. Even though the snowman hasn't been naughty, I grounded him anyway. The sediment sticker is from GKW and the Christmas light stickers are "Rain Dots" by Cloud 9 Design. The beautiful blue CS came with the embedded white snow dots. It was a gift from my friend Mamie Reese. I attached it to a silver mat. The sediment is NBUS from "Seasonal Sentiments" by My Favorite Things embossed on vellum with Liquid Platinum by Ranger. Less Is More: Stickers, sticky labels, and peel-offs. Cards in Envy: Hip to be square. Ike's World: A circle in a square. 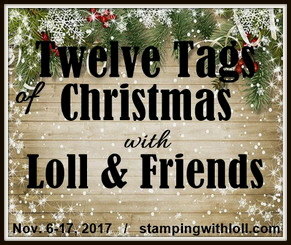 Simon Says Stamp: Wednesday challenge: Hip to be square. Even though I can't follow other blogs right now (grrr), I'm very happy that folks seem to be able to follow me. Please join me in welcoming these new friends! Wendy Mallas of Wendy Mallas. Wendy is an artist and illustrator, for reals, who has only just started her blog last month! Welcome to Blogland, Wendy! Please make a special effort to introduce yourself to Wendy. At the moment, Wendy is having such fun with paper, ATCs, and paints. It will be fascinating to see where she takes her blog with her extraordinary talent! Misty Elam of Happy Ink Designs. Misty is another brand-new blogger who just started in July! Welcome to Blogland, Misty! Misty may be new, but her cards have the style and sophistication of someone who has been designing and executing cards for years. She also makes videos for you and does pictorial step-by-steps of her fabulous artistic process. You're going to be impressed! Susan Wuthrich of Blue Fog Studio. Susan has been blogging since 2015. In that short time she has had a mercurial rise in our little corner of Blogland, now serving as a Design Team member on many of our well-loved challenge blogs. When she isn't making cards or some other form of artistry, Susan alternates between her many athletic loves and sewing dresses and blankets for children in the area. You will be instantly enchanted by Susan's talented designs! Wendy Johnson of Pink and Dotty Wendy is from England and she started blogging in 2014. Her mother has been an avid card artist for many years, and Wendy finally gave the hobby a go about seven years ago. She has never looked back! And I love this: her husband calls her craft room her "daft room!" Wendy's happy and colorful cards will have you smiling when you visit! Sue Tossell of Sue's Crafty Corner. Sue is also from England and she has been blogging since 2010. She has been crafty most of her life and now has a passion for papercrafting and card art. An avid snippets user, Sue will inspire you with her shaped cards, square cards, layered cards, birthday cards, and Christmas cards ~ and any occasion in between! Two wonderful Christmas cards. I think the Xmas light stickers on the first card look so real.. The second has those snowflake stickers that I love and sometimes still use too. Thanks fortaking part in the Rudolph Days Challenge. 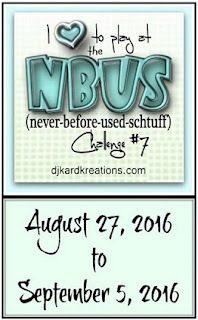 I am currently working on my NBUS cards. Hope to have three finished in time. Will post them one at a time as I finish each. Hi Darnell, Loving both cards. I only send cards to family and a few very close friends. I tend to do ecards for everyone else. Thank you so much for joining us at the Rudolph day Challenge! I'm so far behind on my Christmas cards too! You have made two beauties here...love that sweet little snowman on the first! Love both of your cards!! Love the embossed snowman!! Two fantastic cards Darnell, I love the gorgeous lights and the embossed snowman on the top card. This has to be the challenge for me as I have Sooo much schtuff that I have not used. 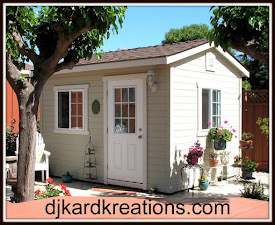 Hubby calls me a compulsive buyer of all things crafty. Thanks you for the great write up you have given me on the blog, I too have had trouble in the past following people on blogger, fingers crossed it's OK at the moment. I'm off now to look at the other new followers blogs. two lovely cards, darnell, and great exemples on how use stickers for CAS!! The first one is my favourite, it's just ADORABLE!! Fab card. Good on LIM for shaking things up - yes I do have a sticker or two! I can't believe it is half way through the NBUS challenge. Where does the time get too? What an awesome idea! I collect stickers when I got to the dollar store! I just can't resist them. I usually use them on my envelopes but you've gone one better! These are fabulous, Darnell! Such a cool idea! I think I have those snowflake stickers in my stash! BTW, congrats on reaching over 1000 followers! Woohoo! Time to celebrate! P.S. You mentioned you can't follow other blogs... I couldn't either but then I tried double-clicking on Follow and that seems to work (for me). I know others are having this problem so it's probably not that simple. Your cards look amazing, Darnell! Yay for stickers! I'm not sure why you can't follow blogs, though? I'm a bit behind on catching up so not sure if you mentioned why in a previous post. Hope it gets resolved. One of your new friends links (Pink and Dotty) doesn't go to the right place. Just to let you know. Have a great day! Stickers eh? Yes, I think I may have a few of those somewhere, though I believe I gave most of them away. I had the same problem with Christmas cards this year, but have just started mine now (as opposed to mid-December!) and have half a dozen all done. Not an astonishing amount, but definitely a start! There are some gorgeous stickers out there, and they can really add to the design, and make it easier on us once in awhile! Love both of these, Darnell! Thanks for sharing with us at the Simon Says Stamp Wednesday challenge! I just love how you put the baubles with the snowman, I struggle with knowing what to put on an embossing folder this big but yours looks great. I hope to be back with NBUS entry it's not like I don't have a mountain of stuff to use! But typically so far used things I've used before for makings this week. Love how you are using stickers. I always forget about my huge stash I have had forever. I've been traveling, and how fun to come back and see that we are in the midst of a NBUS challenge--my favorite kind of challenge. Hope to play along. I used to know what stickers were...not even sure I still have some. Should probably take a look. The good news is, you have two more Christmas cards finished. Good on you. They're both terrific...really like the snowman card with those cool lights. I've got plenty of stickers, some peel offs and the sorts you used here and some really special ones I haven't used yet because I'm holding on to them for the right idea or occasion. It doesn't make sense not to use loved items, but sometimes those are the ones that get used last. Great cards, both of them, shows we shouldn't abandon those stickers entirely even though there are ranges of stamps, stencils and dies to be used as well. Love your snowman with his strings of Christmas lights, Darnell! And the snowflake stickers look so pretty fluttering down that snowy dotty background. I've got folders full of stickers and peel-offs - I'd be surprised if they've still got any 'stick' left! Have you tried copying a blog home page url then pasting it into the 'Add' section on your dashboard? If I can't find a google friend connect button that's what I usually do. It then appears in your blog feed on your dashboard. I love your cards and wish I could join in on the fun again. I am lucky I got one done for your challenge at least. In between making meals and caring for garden things I have to still rest. So card making and using up all that NBUS has been put on hold. Oh no, you have hit a box in my craft room that is full of you guessed it...stickers! Your snowflakes and sentiment works in perfectly with your strung lights and bulbs~I love the white images on the bottom...looks like embossing. Two fabulous cards Darnell. I have to confess I did buy some cards last year as I just didn't have the time to make them all, but I felt really guilty! What great sticker cards Darnell and they are the bees knees for quick cards. I could have wept when I saw the sticker challenge on LIM - I spent ages deciding whether I would ever use my sticker collection again when I had to empty my craft room, and I finally decided to donate them to the local school!!! You can bet your bottom dollar that this was the signal for them to reappear on fabulous cards like these! Lovely and fun holiday cards! Stickers have really evolved and they make some beautiful ones now. Your cards show that type off beautifully. Oh Darnell! these are fantabulous!! I can't believe the timing! I just pulled out my 100# tote of stickers with my "Use it or Loose it challenge!!" I can't wait to use up some of these beloved and yet snubbed beauties!! I always feel that I'm cheating when I use stickers on a card. I don't know why. I have to say that both packs of stickers you used are far from pedestrian! They are what we call in these parts as "fancy stickers." Pedestrian stickers is what you get from the doctor for not crying when you get a shot. Both cards are great but that top one is the bestest! I love your Christmas lights and this is one of my favorite snowmen! Pretty snowflakes and a beautiful sentiment especially with the embossing! Thanks for the push to use that stamp that had been languishing in my NBUS box for 3 years! Oh, I love ALL those stickers! I think I might even have some that look like your snowflakes. You gave me a great idea for using them! I love those Christmas lights, too. Awesome! i love the fun snowman card with those very festive garlands of stickers! thank you so much for playing along with us at the rudolph days challenge! Like you, life is busy for me and the Christmas card stash is low!! Love the inspiration you have shared with us today. The first one is darling!! I love these cards and I think stickers are great. I use them for borders etc and don't think there is anything wrong with them. Your cards just prove how pretty they are. I love Rain Dots but I've never seen those--just too cute! The snowflake card is beautiful--love the embossed sentiment on vellum! You've had quite the year--glad you're making a few Christmas cards anyway! Hello Darnell! Your cards are awesome! Just love these both! 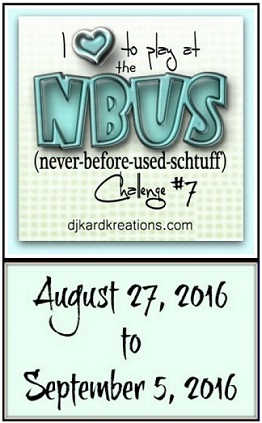 I love NBUS challenge ! I have to hurry to join this challenge! Whoever woulda thunk it.....that lowly stickers could make such lovely cards!!!???!!! Beautiful creations, Darnell. Second try: Thank you once again for another NBUS challenge. They are always fun and a great excuse to dust off those old supplies! Fabulous cards Darnell and how great to see the old stickers coming out to play :-) Thank you for coming to play at IKEsWORLD CHALLENGES. 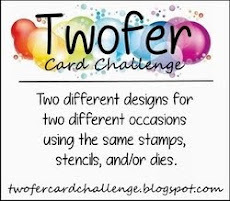 Fab two cards, forgot I wanted to check out that challenge. Wonder if its too late. Love the snowflakes on that beautiful blue paper, looks stunning. The challenge is going well. Better go check out your new friends. Ooooh, LOVE your Christmas cards!! I love the lights on the first one!! And that sentiment on the 2nd one is wonderful!! Your cards are always beautiful. Anyway, thanks for creating this wonderful challenge and THANK YOU so much for the shout out, Darnell!! I really appreciate your support. That's the other thing I'm looking forward to is going back through your posts and checking out all these new (to me) bloggers so I can stop in and say hello!! Ok, now that it's 2am, I better hit the hay, since I'm getting up in 3 hours to start it all over again!! I am sure I have some stickers floating around somewhere.. I like how you used them on both cards Darnell - the lights are really fun! And that blue cardstock with the snowflakes is gorgeous, very pretty. Still hoping to get another card into your challenge, fingers crossed, time is going too fast. And fortunately I had a few cards left over from last year so I may actually be able to make the rest that I need... I starting making mine in March feeling REALLY virtuous, and then gave up and am now in the same panic-ridden state as last year!! These 2 elegant and simple cards look fantastic with stickers! You used them to their full potential on both cards! They're fabulous! I love the sticker christmas lights, Darnell - and that embossed snowman is adorable! 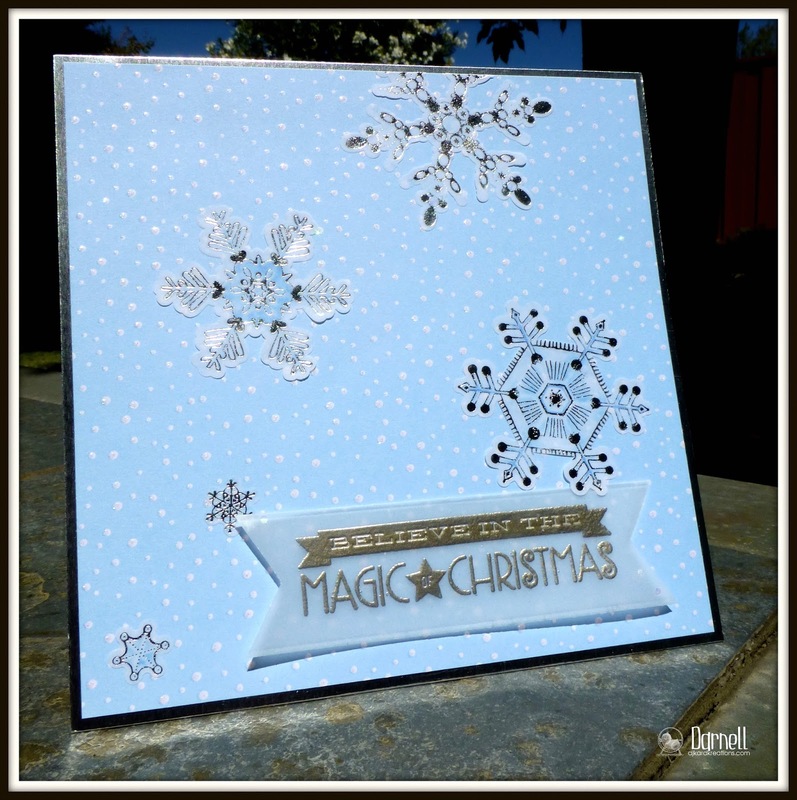 Love the snowflakes too, great chance for you to use up some of those oldies but goodies! Wonderful idea for Christmas cards. I like them both. Super cute Snowman! Love the string of lights with it! ...'some stickers' is definitely an understatement! Would a box full qualify as "some" ??? Fabulous cards - the stickers seriously look GREAT!!! Adore the sweet little Christmas lights and balls. Nice touch with the embossed snowman! Gorgeous snowflakes studded cardstock. I love your embossed velum sentiment banner! Great job embossing on velum! OMG, Darnell. I think I have that exact same snowflake sticker package tucked away in a drawer somewhere. I wonder if the glue is still good after all these years. It's funny how we "grow out of" stickers. The only cards I regularly use them on is Halloween cards. Not sure why that it is. I think your cards look grand - and those cute sticker helped with that! Two gloriously festive makes. Give up on making Christmas cards? WHO ARE YOU and what have you done with Darnell??? I have a friend who would come out in a rash if he touched a peel off lol! I think they have their place and your gorgeous cards have certainly proved that. Hmm, not sure which I love more...the beautiful cards or the fact that you used STICKERS!! I know that I have the hardest time using stickers because they always just look so flat and unchallenging (not that I'm a snob or anything...oh no). However, you are a genius in combining the stickers with an embossing folder, which takes care of that flat and unchallenging part. 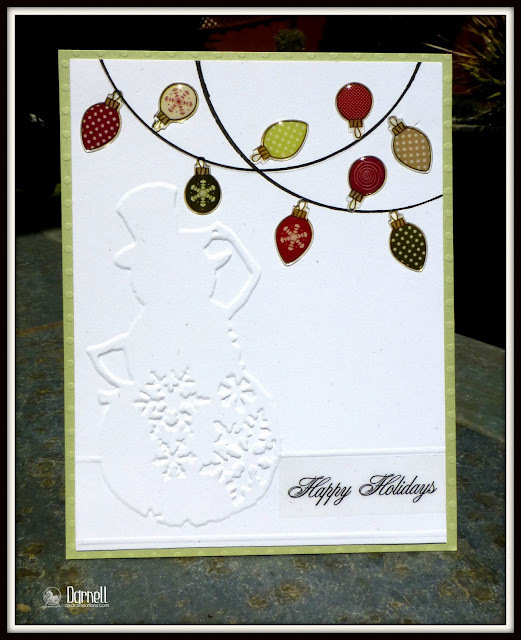 I have that same Tim Holtz embossing folder with the jaunty snowman and never thought to combine him with plain ol' stickers. However, now I can't wait to dig through my very very old sticker stash to see what I can find. Thanks for always keeping us on our toes Darnell, and continuing to encourage us to use up those NBUS that you know we all hoard. Beautiful cards! 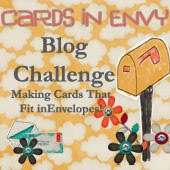 Thanks for sharing with us at Cards in Envy for our Hip to be Square card challenge. 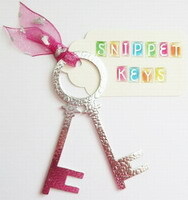 Hello Darnell, crafty lady! Loving your Christmas creations! Your TWOFER, would love to invite you on over to the MUSE Christmas Visions where we have metallic inspiration with GOLD, which is a perfect compliment in your card! Love that sentiment! Hope to see you in the gallery!